It’s your friendly neighborhood blogger/indie author/book reviewer who sometimes disappears from the digital sphere for months at a time, leaving only a smattering of tweets and the occasional Instagram photo letting you know they’re still around. Here’s the thing: I’ve been working with a new(er?) therapist for the past year or so, and with her have been making some long and much needed strides in managing my depression and anxiety. It’s been a lot of work. It’s been draining. It’s required me to be extraordinarily in tune with myself- with my emotions, with my habits, with my symptoms. We’ve made a lot of connections I was not yet in a position to make with previous therapists earlier in my mental health journey. It’s great! And it’s helping me realize…well, a lot. One of the things I’ve realized is how affected I am by social media. This has become increasingly apparent to me over the last year. Back in 2017, I decided on whim that I would delete all social media apps from my phone. I don’t know what it was that made me do this, but one day I just said, “What the hell?” and got rid of them all. I kept only the most mobile heavy- aka: Instagram -and Facebook Messenger, which is really just an alternate to texting rather than an actual social platform. While it took some getting used to, and while I occasionally cheated by using Safari to access my accounts, it really helped me balance my time spent online. Then we renovated our house in April of 2018, which meant losing access to our home WiFi for a few days. I re-downloaded my social media apps so that I could use data to access them in the interim. I justified by telling myself that I would A) only use them to keep my business accounts active and B) delete them again once our router was up and running again. I kept promise A, but promise B fell by the wayside as I got sucked into the convenience of the apps. Then I started using my personal accounts on my phone. Things snowballed. I got frustrated, took some time away from social media for the holidays, then got back on again in January. Things snowballed again. I made a post on Twitter last week about taking some time away from social media. I’m sticking to that. I deleted Twitter from my phone right after making that post, and deleted Facebook today. I’m stepping back again, because I’m recognizing a need for some distance. I’ve always struggled with both wanting to limit social media use and needing to stay active for work. Not just for my writing, although social media has become a major part of self-marketing my work, but for my freelance work and day jobs as well. I can’t get away from social media. It’s part of how I earn a living, at least for now. It’s also introduced me to and helped me create wonderful communities with like-minded people I never would have known without the magic of the world wide web. All of this is contributing to a bit of digital burnout that’s wearing on me more and more each day. Lately, all I’ve wanted to do was log out of every account I have- social media and email accounts and everything in between -and get away. Because for all the gratitude I have for growing up in the digital era, especially as a writer and freelancer whose work thrives on visibility and connectedness, I’m just…tired. I want to escape, and not in the digital sense. I want to leave my phone on the kitchen counter and wander off somewhere where no one can reach me. I want to remember who I am without the constant pressure to perform in some way, or to be available to people constantly. I’ve always said that I don’t believe that human beings were made to be plugged in 24/7. We were not made to be “on call”, to be present in some way at all hours of the day. I’ve known people who got pissed if I didn’t answer a text quickly enough, or who thought I was mad at them because I didn’t “like” a Facebook photo they posted. Things like this create stress that I don’t need, and that I shouldn’t have to tote around. One thing that my therapist and I have been working on is the recognition that I have far more control over things than I think. Sure, I can’t change the fact that my job requires some level of digital commitment, but I can control how much time I devote to that commitment. I can make small changes to make a healthier environment for myself to both live and create in. I’ve already started purging my phone again, and I intend to keep it that way. I’ve set time limits for the few apps that I’m keeping (Apple’s decision to include a “Screen Time” function in Settings is a godsend, by the way) and am using Hootsuite to keep my accounts from going radio silent while I take time for myself. It’s been a week so far, and while the changes I’m making are little, I can already see them making a big difference. So…that’s where I’ve been. Taking care of myself. Managing my digital burnout. Learning coping skills. It’s all positive, friends. I thank you all for your patience with me, and hope that even a small piece of this resonates with someone who may be feeling similar signs of burnout. Please know that it's always okay to take time for yourself, to make changes that will make you happier, and to log out once in a while. The digital world keeps turning, but the real one does, too. It’s all about finding a balance between them. I’ve been in the self publishing world for two years now. In that time, I’ve put out a poetry collection unveiling my battle with depression, a short fiction collection not-so-subtly inspired by own anxiety, and a novella born from experiences with loss and the grief that always follows. 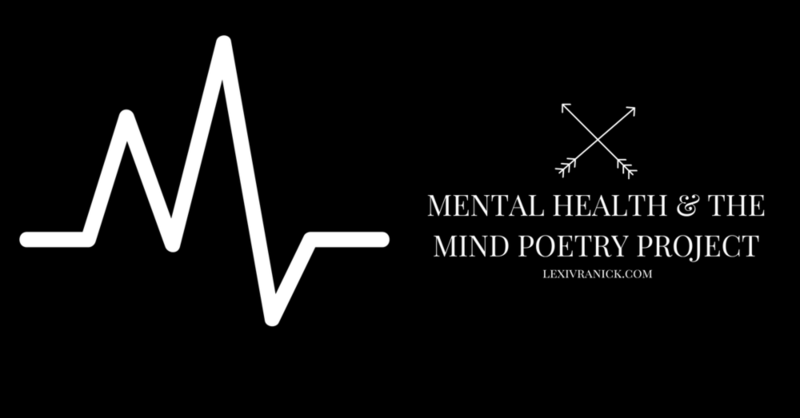 I have also had the pleasure of being interviewed for wonderful blogs and lit magazines, had my work published in an anthology dedicated to mental health awareness, and been featured in an online journal. I’ve hosted two events at a local indie bookstore and have been able to raise funds for National Novel Writing Month, the American Foundation for Suicide Prevention, and for a family affected by the rare genetic disorder SMARD. I’m grateful. I’m elated. I’m blessed. Self publishing has gifted me the freedom and power to create on my own terms. It has helped to amplify my voice, build my confidence, and put me on a path I’ve dreamed of since I was a child. However, I still live with the depression whose first assault inspired my first book. I still struggle with anxiety on a daily basis. I’m still mentally ill, and this year has done a great deal to remind me of that. I’ve felt bogged down. I’ve felt pulled back. I’ve felt small, and weak, and frustrated because I know I am neither but the imbalance of my brain makes me doubt what I know. I’ve discussed this before, and I’ll likely discuss it again. It is part of the reason why Fictitious - my fourth book, my fourth venture, has yet to greet the world. Another part is the changes being made to my current means of publication. Ever since November of 2016, I’ve published via Amazon’s independent publishing platform CreateSpace. As I was gearing up to finally (finally, finally, finally!) putting the finishing touches on my sophomore poetry collection, I got an email from the company. The email was lengthy, but the gist was this: Amazon is changing it’s self publishing . It is, for all intents and purposes, ditching CreateSpace in favor of its newer platform, Kindle Direct Publishing (KDP). I’m no stranger to KDP. My very first book, Ready Aim Fire, exists in Kindle edition through this service. I have not, however, used its print-on-demand services. In the early stages of my journey, I made a conscious choice not to publish with KDP given its lower royalties and higher printing costs when compared to CreateSpace. While Amazon is currently encouraging authors to move their titles and proceed with business as usual with Kindle Direct, I’m left anxious and unsure. I’ve had a difficult time putting into words exactly what I’m feeling. As an author, that’s mildly embarrassing. As an anxiety sufferer, it’s commonplace. And so, I’ve been doing what years of therapy have taught me to do: I’m taking deep breaths, stepping back, and analyzing with some distance between myself and everyone’s favorite corporate giant. I’ve been taking some time to research KDP, as well as other avenues of self- and traditional publishing. Does this mean I’ll stop self-publishing? No. It just means I’m weighing my options. I’m doing my best to take in the whole picture and make the best decision for both myself and my work. Unfortunately, and frustratingly for myself, this does leave Fictitious and other works-in-progress in a state of limbo. I feel badly about posting yet another apology blog about yet another publication delay. I’m frustrated by it, anxious about it, and generally feeling down. But I’m not going to let these feelings stop me from putting my work into the world. I’m going to do my best to use them to get my work to you in the best way possible. I want to thank you all for your continued patience and support. I’ve met such wonderful people in my two years of self-publishing, and I could not be more thankful for the kindness I’ve received from fellow authors and readers alike. This has been a difficult year for me mental health-wise, and the ups and downs have left me exhausted. The Fictitious situation has fluctuated between a source of comfort (through working on the book) and a source of stress (through delays, delays, delays). While Amazon’s change feels like yet another wrench in my plans, I’m glad to say I feel ready to take it on. I’m not quite sure what’s next for me and my books, but I’m so grateful to have you all along for the ride. I hope to share more with you soon. Until then, thank you - for your patience and understanding, for your love and support, for your kindness, for everything. Living with depression often makes me feel isolated and alone, but the swell of support I receive from this community is a pretty strong weapon against that. You’re all amazing, and I’m truly lucky to have you. In the 365-day gap between ages 23 and 24, a lot has happened. I mean, a lot. There was some studying, and some term-paper-writing; A bit of travel somewhere in there; Braving snow storms, and rain storms, and stealing sunny days in pumpkin patches and farmer’s markets and on beachfronts. There were hiking trips, ferry rides, flurries of book pages read, but I think the biggest thing of all was the self-publication of my first two books. It happened half on a whim. I say half because I’d had this plan in my head since I was about 17. Not exactly the specifics, not what the books would be or what platform I would publish through, but I’d kept self-publication in my head since high school. I knew I wanted to be published – I’d known that I was five-years-old reading Harry Potter and realizing that someone wrote that book, someone put that book in the world. I looked at all my crayon-covered works of fiction and thought that maybe I could do that, too. And I’d heard about self-publishing through internet forums as a high school senior trying to figure out just what I was supposed to do with my life. So, the idea was there, a seed in my brain, watered sparingly and growing slowly upward. The whim part came later, as whims do. I don’t remember exactly when it hit. It was somewhere between despairing at missing my “I’ll publish by 21 goal!” and the realization of “screw it, it’ll be just as impressive at 23”. And I guess it was. That’s how Ready Aim Fire was born. In between thoughts both self-deprecating and confident, a blossom finally blooming off that seed planted years ago. And it felt good to get it out there, to know that people were reading it, to see people responding to it – to know that it was helping other people the way writing it helped me. Writing a second book just seemed natural after that. I even dug back into my old archives (read: piles of journals and MS Word files scratched in and printed out and stashed away, dating as far back as the fifth grade) and revised some stories written years ago to include in Basket Case. And then came the book launch – my first reading and signing, a happy birthday event for my brand new book, my chance to share with my friends and family just how much this journey has meant to me. And all of that happened in a year. I’m rounding on another birthday today, and I can’t really say what’s in store for 24 (besides more bad rhymes – I’m sorry). But 23 wasn’t so bad. I feel like more big things, exciting things, possibly-a-little-bit-scary things are on their way. And I feel like I’m ready to greet them. To thank all of you for your support on my journey so far, I’d like to offer you free shipping on signed copies of Ready Aim Fire and Basket Case! This offer will be valid throughout the month of August. You’ll get your book (or books!) 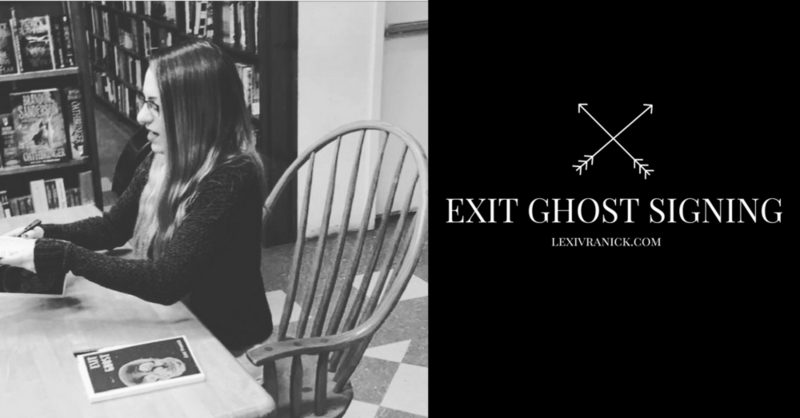 with a personalized inscription, some Lexi Vranick Books stickers, and a special bookmark hinting at my next book, Exit Ghost. Enter the code BDAY17 at checkout at lexivranick.com/shop. I was at work when I found out Chester had passed. I didn't know it was him at first - I looked down to check my Twitter feed, saw a tweet referencing an artists' suicide, and then someone asked me a question. I put the phone down, tweet forgotten. It wasn't until I got home and saw my entire feed flooded with the hashtag #RIPChesterBennington, every other post quoting Linkin Park lyrics and linking suicide hotlines. It's hard for me, even as a writer, to put into words exactly how I felt - how I feel - about Chester's suicide. I spent a large part of my childhood with Linkin Park. I adored them in middle school. I knew every word to every song, and I can't count the number of lined paper journals I filled with poetry while listening to their albums on loop. I can't say I was know-all-the-members'-names obsessed, but I loved their music, and so I loved them. From that perspective, I'm absolutely heartbroken. From another perspective, the perspective of a person who has struggled with major depressive disorder and all the baggage it drags, the perspective of a person who has had suicidal thoughts circling my head, the perspective of a person who has mapped my survival through art, I'm torn apart. And I think what hurts more is knowing that, although now my entire Twitter feed is packed with get help and open a conversation posts right now, those sentiments will fizzle out. Just like they did after Chris Cornell. Just like they did after Robin Williams. The conversation dies, and people go back to their lives, and then another person takes their own life. The cycle goes on. It goes on because we let it. It goes on because we let the conversation drip into nothing, evaporate, and let the gray-cloud stigma of mental illness linger until it bursts over another person. The stigma is so strong that people like Chester Benngington, who have support systems at their backs and resources at their fingertips, don't feel safe enough, secure enough, confident enough to ask for help. The first time I told someone I was suicidal I was in my general practitioner's office, finally seeking help for my then-undiagnosed depression. My doctor asked if I had ever had suicidal thoughts. My mom was sitting in the corner, watching me, and I couldn't bear to look at her when I said, "Yes." And honestly? If my mom hadn't have taken me to the doctor that day, I'm not sure if I would be here right now, mourning Chester's loss and writing this. I wouldn't be me, at least - not this me that's self-published books and is finishing college, even considering graduate and, God, post-graduate programs. I might not be me today because back then the stigma of mental illness was cloaked around me. I was a college student, right? Life was supposed to be hard, right? There was supposed to be stress. There were supposed to be bad days. I was supposed to deal with it. If I couldn't, then I was somehow defective: I was weak; I wasn't smart enough; I was whiny; I wasn't good enough; I wasn't trying hard enough. Anything that went wrong was my fault. If I was depressed? It was my fault. It was because I did something wrong. I never considered the possibility that I was actually sick until my psychiatrist explained that the brain gets sick just like every other organ, and that it wasn't my fault I had depression any more than it was an asthmatic's fault that their airway inflames. I can't control it, but I can treat it, and I can make it better. I don't know Chester's situation. I don't know who he might have sought help from, if he did at all. I don't know if anyone around him saw the signs, or if he hid them so well that no one had the chance to. I know that he struggled with addiction. I know that he was open about that. I know that he wanted to get better, and to be better, and that he used his experiences to fuel his art. I don't know if he even saw this coming. The signs don't seem to add up - he was having a great year. He seemed happy, positive, bursting with excitement, bursting with life. Maybe he was holding his feelings so close to his heart that they shattered it. Regardless of all of this, it's utterly heartbreaking to know that he found this world so overwhelming, so full of hurt, that he couldn't bear to be in it anymore. And I also know that he has offered us to chance to try to help people like him. People like Chris Cornell, and Robin Williams, and people like me, too. But we can't let the conversation die. We can't cast this net out to sea and let sink, and drown, and die. We can't let the stigma brew hurricanes over our heads. Talk about mental illness, because the people suffering from it might not know how. Talk about resources. Talk about hotlines, and online services, and local services. Be open. Break down walls. Do it for Chester, because it in the end it does matter; in the end, he matters. We all do. We all have a chance to help. I pray that you find peace in the next life. Post-Launch: Happy Book Birthday, Basket Case! Last night something very exciting happened: I welcomed Basket Case: A Short (Short) Story Collection to the world. Not only that, but I did it with some of my closest friends and family at my first-ever public book launch event at the Book Revue in Huntington, NY. I'm not sure if my anxiety has ever been higher. I can say that as I stepped up to the podium to speak, I started to regret the cup of cold brew I had at dinner just minutes before. But something happened when I got up there and looked out into the crowd. Every single person who was there, friends and family, friends of friends and family, each and every one, was there for me. Each person had given up whatever other plans they may have had that night to come celebrate Basket Case with me - to welcome this little book, my second self-published title and first collection of fiction, into the world. And that was amazing feeling. I can't say that the anxiety washed away. That's not something that just happens with a revelation and a deep breath. But I can say that the overwhelming gratitude I felt made speaking a whole hell of a lot easier. Last night went off without a hitch, due in large part to the exceptional gathering of people in attendance and the hard work of Eemaan Jameel and the rest of the staff at the Book Revue. My heart is warm still just thinking about how my little book brought all of these people together for this one night of celebration. To all who attended, thank you from the bottom of my heart. To all those who made last night possible, a bigger thank you still. The hand cramps leftover from signing all of those books will fade, but the memories of last night will last a lifetime. Basket Case and my first title, Ready Aim Fire: A Poetry Collection, are both available on Amazon and the CreateSpace eStore. Signed copies of both books will soon be available on my personal shop. Signing copies of Basket Case: A Short (Short) Story Collection at the Basket Case Launch Party at the Book Revue in Huntington, NY on July 5, 2017.